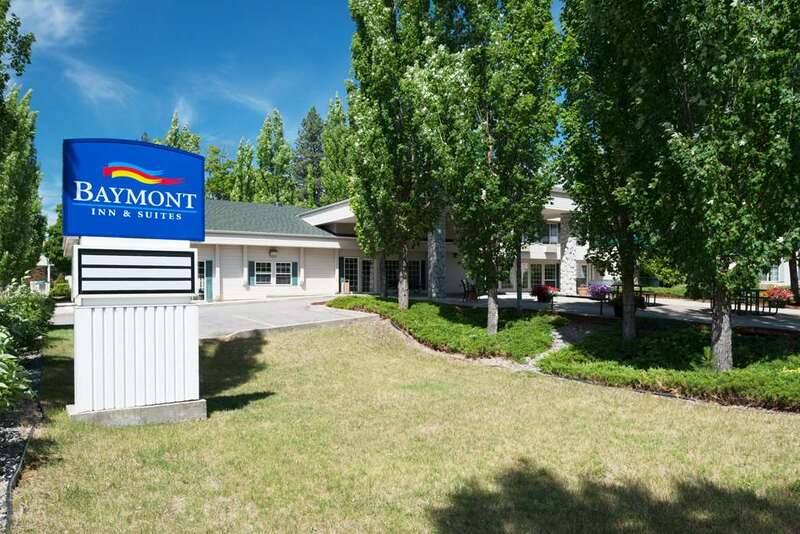 Enjoy warm hospitality and welcoming comfort at the Baymont Inn and Suites Coeur d Alene hotel, located just minutes from Coeur d Alene National Forest, several restaurants, and just 35 miles from Spokane International Airport. Lake Coeur d Alene and Silverwood Theme Park are also close by. Amenities include complimentary parking and friendly associates who will assist with referrals to bicycle rental companies and more. Complimentary continental breakfast is served every morning and complimentary wireless Internet access allows productivity. Meet with success in the 600 square foot meeting space which will accommodate up to 25 for a meeting or social event and stay productive in the business center. Smoke free guest rooms come complete with microwave, mini refrigerator and flat screen HDTV and suites with hot tubs and full kitchens are available. Dog Friendly with 2 Dogs per stay.